Francois Chauvon (fl. 1710-40) was an oboist and student of Francois Couperin, to whom he dedicated his set of suites and sonatas entitled Tibiades in 1717. Little information about Chauvon survives beyond the works he published between 1712 and 1736. Chauvon himself seems to have regarded the pieces presented in Tibiades as an important achievement in the creation of a new style, for he designated them as a “new genre” of works. Perhaps he had in mind stylistic diversity within the works and the innovative instrumentation he suggested for them—that is, “for the flute and the oboe, as well as several sonatas for the violin.” In this recording, the performers have taken Chauvon’s wording as an invitation to create various ensemble combinations featuring the instruments he specifies, thus giving rise to interesting contrasts of timbre and texture. Experience, passion and a taste for discovery is what brings these chambers musicians together on this CD. They are undisputedly among the best players in Canada of their respective instruments, in the field of Early Music. Having all worked in Toronto, where they first had a chance to play together, they each pursue an active career as soloist and ensemble player with various groups in Canada, the U.S. and Europe. 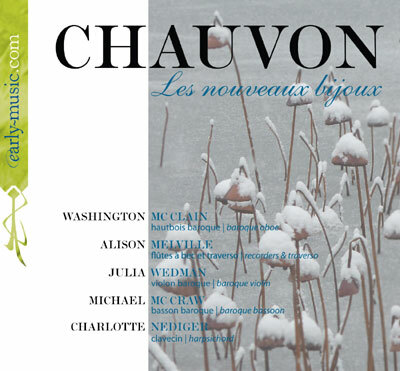 Washington McClain, Alison Melville, Julia Wedman, Michael McCraw and Charlotte Nediger share together for the first time on disc their love for the exploration of unjustly overlooked repertoire. pour la flûte, et le hautbois : Avec Quelques Sonates pour le violon. Double-manual French harpsichord by Willard Martin (Bethlehem PA, 1981). Oboe after J.H. Eichentopf (Leipzig, c.1720) by Sand Dalton (1993). Alto recorder after Debey by Jean-Luc Boudreau (Blainville, QC, 2001). Soprano recorder after Boekhout by Thomas Prescott (Hanover NH). Sopranino recorder after Denner by Friedrich von Huene (Boston, MA). Traverso after C. Palanca by Martin Wenner (Singen, Germany, 2009). Bassoon after HKICW (c. 1670) by Guntram Wolf (Kronach, Germany). Violin by Hendrick Jacobs (Amsterdam, 1694). WASHINGTON McCLAIN is a specialist on Baroque and Classical oboes, and has performed with many groups in the United States, including The City Musik (Chicago), Seattle Baroque Orchestra, Philharmonia Baroque Orchestra (San Francisco), Apollo’s Fire (Cleveland), Opera Lafayette (Washington, D.C.), Trinity Wall Street (New York) and Washington Bach Consort (Washington, D.C.). In Canada and Europe, Washington has performed with Tafelmusik Baroque Orchestra (Toronto), serving as core oboist for seven years, Pacific Baroque Orchestra (Vancouver), The Netherlands Bach Society, and is currently principal oboist of Arion Orchestre Baroque in Montréal, Québec. 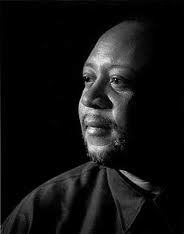 Washington’s extensive teaching and performing experience in workshops and festivals in North America include The Amherst Early Music Festival (New London, CT), Western Baroque Double Reeds Festival (Seattle), the Madison Early Music Festival, The International Baroque Institute at Longy (Boston), Festival International de Musique Baroque de Lamèque (New Brunswick, Canada), The Staunton Music Festival (Virginia), and the Boston Early Music Festival. He is also the first period instrument performer to be featured in an article of Windplayer Magazine. Washington has recorded for the Sony Classical, ATMA, Analekta, Naxos, Centaur, Early-Music.Com and CBC Records labels, and currently teaches at The Early Music Institute at Indiana University in Bloomington. He makes his home in Windsor, Ontario (Canada). 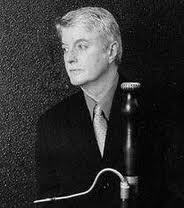 Bassoonist MICHAEL McCRAW, cited in “The New Grove Dictionary” as one of the most important early bassoon players and pedagogues of our time, began his career in New York City as a member of the Orpheus Chamber Orchestra and as one of the pioneers in the field of historical performance. He holds degrees from North Carolina School of the Arts and the City College of New York. From 1979 he lived in Cologne, Germany, playing with such ensembles as Musica Antiqua Koeln, Concentus musicus Wien, London Baroque, Amsterdam Baroque Orchestra, and Camerata Koeln. Mr. McCraw moved to Toronto in 1991 to take up the position of principal bassoonist with the Tafelmusik Orchestra, a position he held through 2002. Also a gifted teacher, he has taught at festivals and workshops all over the world and was on the faculty at the Royal Conservatory of Music in Toronto as well as the University of Toronto. Since August 2004 he is professor in the Early Music Institute at Indiana University and served as Director of the Institute from 2004-2009. Likely the most widely recorded bassoonist, Mr. McCraw’s recordings number more than 175, including a highly acclaimed CD of Vivaldi bassoon concerti with the Seattle Baroque Orchestra. American Record Guide names this recording “number one for Vivaldi bassoon, with no reservations.” Mr. McCraw continues to free-lance in North America and Europe and is also musical director of the baroque workshop that convened several summers in Albuquerque, but has now moved to Seattle. He was inducted as an honorary fellow in London’s Academy of St. Cecilia in the spring of 2007 and serves as a board member for Early Music America. Toronto-born ALISON MELVILLE’s musical career as a performer on historical flutes and recorders has taken her across Canada and the USA and to Iceland, Japan, New Zealand and Europe. Her extraordinary breadth of experience comprises solo and chamber music recitals; music for dance, theatre, film and television; orchestral work with modern and period instrument orchestras; concerts in venues more varied than you can imagine, from Boston’s Jordan Hall or Tokyo’s Bunkamura Theatre to inner-city schools, ferry boats and prisons; musical repertoire from the 12th to 21st centuries, composed, arranged and improvised; and music from Celtic and Scandinavian traditions. Trained in Toronto, London (UK), and in Basel as the winner of numerous awards from the Canada Council, Alison is a member of the Toronto Consort and Ensemble Polaris, and Artistic Director of the multi-arts ensemble The Bird Project. She also appears regularly as a soloist and orchestral player with the Tafelmusik Baroque Orchestra, and as a guest with other groups. She has played on over fifty CDs including five critically acclaimed solo recordings, and her playing has been heard on the CBC, BBC, NPR, Radio New Zealand, ABC (Australia) and the Iceland State Broadcast Service. Alison is also featured on the soundtracks of The Tudors and The Borgias, films by Atom Egoyan, Ang Lee and Amnon Buchbinder, and for several years she was a fixture on CBC-TV’s The Friendly Giant. She taught at the Oberlin College Conservatory of Music (Ohio) from 1999 to 2010 and is currently on faculty at the University of Toronto’s Faculty of Music. 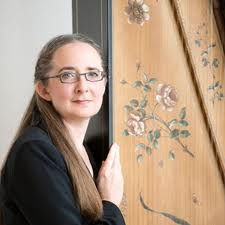 A native of southwestern Ontario, harpsichordist CHARLOTTE NEDIGER joined the Tafelmusik Baroque Orchestra as principal keyboard player in 1980 at age 21 and has held that position ever since. She is one of few keyboard players to specialize in orchestral continuo playing, but also enjoys exploring the rich solo and chamber repertoire of the baroque. 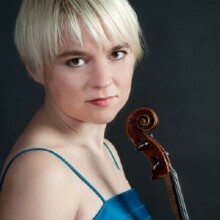 She appears regularly as concerto soloist with Tafelmusik in concert and on recordings. Charlotte teaches at the University of Toronto and is Artistic Coordinator of the annual Tafelmusik Baroque Summer Institute. She holds Bachelor and Master degrees from the University of Western Ontario and a Solo Diploma from the Royal Conservatory of The Hague in the Netherlands. Originally from Saskatoon, Saskatchewan, JULIA WEDMAN was invited to join the internationally renowned Tafelmusik Baroque Orchestra in 2005. She quickly developed a reputation for her solo performances with the ensemble and is frequently showcased on Tafelmusik’s recordings as well as their home concert series in Toronto. Julia has played concertos with the group on tours throughout Canada, the U.S.A., Mexico, Puerto Rico, Europe, China and Korea, and teaches at the Tafelmusik Baroque Summer Institute. Julia is a member of the innovative young baroque ensemble I Furiosi, whose CD Crazy is available on Dorian Sono Luminus. She is also one quarter of the Eybler Quartet, a period instrument ensemble specializing in music of the classical era and championing excellent but underrated composers. Their first two CDs on the Analekta label explore quartets of Mozart’s close friend Josef Edler von Eybler, and clarinet quintets of Mozart and Backofen for which they are joined by British clarinetist Jane Booth. 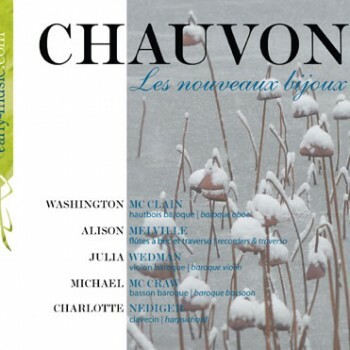 As a part of the Aradia Baroque Ensemble and Toronto Camerata under the direction of Kevin Mallon, Julia also recorded many CDs available on Naxos. Julia’s debut solo recording of Biber’s Mystery Sonatas (Sono Luminus) was released in the spring of 2011 to rave reviews. The CD was featured in the July 2011 issue of Gramophone magazine, saying : Rather exceptionally, one suspects, Wedman has approached Biber’s music as a true pilgrim, interpreting key moments in the life of Christ thoughtfully, vividly and with evident personal humility and warmth. Her performances exude humanity and have about them a radiance that somehow transcends the sound of her lovely 1694 instrument. Julia studied at the University of Western Ontario in London, Ontario with Lorand Fenyves, the University of Toronto with Mayumi Seiler and Indiana University at Bloomington with Stanley Ritchie and Franco Gulli. Recorded on July 25-27, 2011 at St Thomas’s Anglican Church, Toronto, Ontario. Many thanks, for their various generosities, to: Larry Beckwith; Fr. Mark Andrews and Barbara Obrai of St. Thomas’s Anglican Church; Dan Ferguson; Colin Savage. This recording was made possible in part by a grant from the Classical Music Recording Program of the Ontario Arts Council. The Ontario Arts Council is an agency of the Government of Ontario.